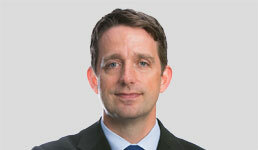 Paul Bouchey is chief investment officer of Parametric. He can be reached at pbouchey@paraport.com. I’ve attended a number of investment conferences in the last few months and I’ve reached my personal limit on the illogical things I’ve heard which are repeatedly passed off as truisms for investing in international markets. Below, I attempt to shed some light on these mistaken beliefs and misconceptions. Investment managers often portray themselves as superheroes able to predict the future to create ‘super’ returns. In reality, managers are good at trading on noise and creating transaction costs. In the international markets the vision of a manager traveling to exotic locales, visiting factories while wearing a hard hat, and finding opportunities that other analysts have overlooked is a fallacy. For private equity deals, infrastructure projects, and private real estate investments it makes sense to have focused local knowledge. But with over 70 liquid equity markets in the world, you would need a lot of boots on the ground to realize this romanticized vision. 2. Avoid low quality companies, especially the ‘state-owned enterprises’ found in many countries. Unfortunately, there is not a strong link between “good companies” and excess returns on stocks. In fact, usually it is the cheap stocks of unattractive-looking companies that have better return prospects — but even this truism is not always true, as the recent performance of the value indexes will attest. State-owned enterprises (SOEs) are often accused of being bureaucratic relics of the communist era. However, many of them enjoy monopoly powers and are implicitly or explicitly backed by the government. And at any rate, most indexes will adjust the weight of these stocks for the investable float-adjusted market capitalization — the weight in the index is naturally reduced for companies with large government ownership. It’s not immediately obvious that SOEs are bad companies that are destined to have bad returns in the future. 3. Maintain a high ‘active share’ otherwise you are an over-diversified closet indexer. In fact, there is no proven relationship between active share and excess return over the market index. Higher active share does tend to increase the active risk of the portfolio and the dispersion of excess returns. But just being concentrated does not mean you are increasing your chances of outperforming. In fact, there is evidence that lower active risk portfolios tend to have a higher information ratio (excess return per unit of active tracking error risk) than higher active risk portfolios. 4. Understand the macro-economic situation in the countries you invest in. It does sound comforting to be invested in stocks that are domiciled in countries with a growing GDP. Unfortunately, there are no strong linkages between GDP growth and stock market returns. Macro-economic forecasts, like other types of forecasting, have a very poor track record at timing markets and producing consistent excess returns. Econometric models are fairly good at predicting risk and some macro models may be useful for currency trading — but for an equity investor, any type of market timing is more likely to increase trading costs and risk, not returns. 5. Pay attention to politics and the media. Political issues definitely have an impact on stock prices but the relationships are not obvious. For example, when Russia threatened war with the Ukraine in March of 2014, the Russian stock market fell 10% in one day. Gut reaction: “war bad, sell stocks”. The return on Russian stocks for the remainder of 2014 was +40%. Does this mean that war is good for the stock market? No. It means predicting the future of stock returns based on newspaper headlines is hard. Another strange example: you might think a presidential impeachment would be bad for the stock market, but Brazil’s recent impeachment was followed by a +20% return in Brazilian stock prices. Attempting to time markets based on political analysis or by reading newspapers (or by analyzing billions of tweets) is a fruitless endeavor. The fact is that global equity markets are largely efficient. If markets were inefficient, we would see more active managers beating the index handily — and this is not the case, even in the less-developed emerging markets. This means that spending lots of money on top-down or bottom-up analysis is not helpful. The best approach to investing internationally is broad diversification — investing in every country, in every sector, across thousands of stocks. This approach is lower cost, lower risk, and often produces higher return than traditional methods.